This morning (January 31) was supposed to be an important date in the global music industry calendar. It was, thanks to a note in Spotify’s own terms and conditions, as well as industry news reports, the date many expected the service to launch in India – opening up its platform to a potential 1.3bn new customers. That launch, however, hasn’t happened. Spotify’s homepage in India still reads: ‘Spotify is currently not available in your country’. Spotify, we should point out, never officially confirmed that January 31 was pencilled in as its big day in India, though that didn’t stop whispers circulating that a Mumbai launch party had been booked. MBW hears this party was due to take place at Mumbai’s Famous Studios today… but has now been postponed. 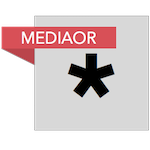 We revealed in November that Spotify hadn’t yet won licensing approval from any of the three major label groups to use their catalogs in the region. And today we can reveal… nothing has changed. According to senior major label sources, Universal, Sony and Warner are all yet to sign on the dotted line – although we hear, certainly in the case of Universal and Sony, agreements are getting closer. Spotify, it appears, could have launched in India without the majors – largely thanks to inking a recent deal with the largest local label in India, T-Series – but has instead decided to hold on until it gets one or two in the bag. A particularly fervent discussion point amongst the majors right now is Spotify’s declining global Average Revenue Per User (ARPU), and what a launch in India would do to this number. 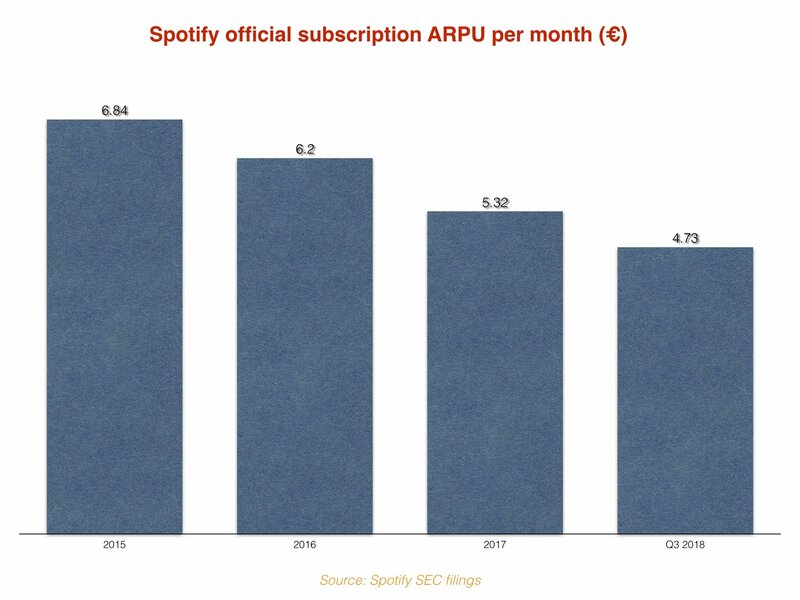 According to Spotify’s own fiscal announcements, its monthly ARPU declined from €6.84 at the close of 2015 to €4.73 at the end of September 2018 – a fall of more than €25 per year. Spotify is now asking the majors to license its free tier in India, in addition to granting it the ability to offer a 30-day, possibly even 60-day, free trial of Premium (ad-free) Spotify to consumers in the market. According to multiple conversations MBW has had today, Spotify’s proposed average ad-funded rate in India will sit at less than $0.0005 per-play – close to a tenth of the per-stream royalties Spotify pays our from its free tier in the US. MBW also hears that Spotify wants to price its premium tier in India at RS99 per month, the equivalent of $1.40, in order to effectively compete with local rivals like JioSaavn and Gaana. Spotify’s most recent international launch came in MENA (Middle East and North Africa), where its service became available in November.